From the 'Typus Orbis Terrarum'. There has been a repair of a split lower part center fold and there are a couple of small tears to the margin that do not affect the image area. Letters "A" and "L" are joined, due to a crack in the copper plate. The map has very attractive original colours. 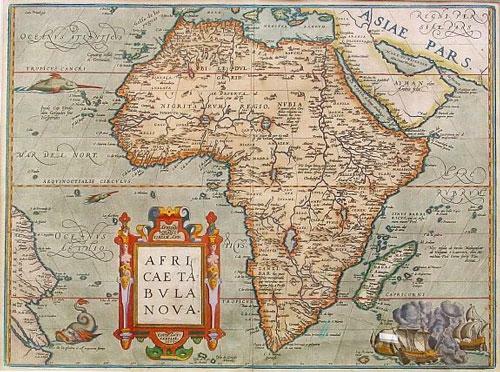 Ref: Broecke 8, Norwich Maps of Africa 10.